Hi Bloggers, and welcome to day 2 of Spellbinders Shape It Up Sneak Peek and Give-a-way! It’s really an exciting time of year at Spellbinders, as we’re gearing up to launch a brand new line of dies and accessories that are really going to blow you away! Our newest releases are the most innovative in the industry. The projects you see here today and in the next few days are going to inspire you beyond belief. So get ready to be amazed! Make sure you read all the way to the bottom of the post. 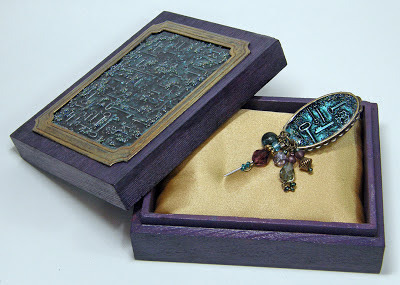 There’s a chance to win Dies, Hatpin Bezels and Texture Plate I used in this layout. The details to win are listed at the end of this post. 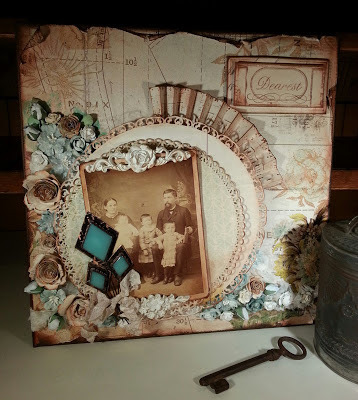 We all love creating scrapbook pages and I especially love vintage themes and heritage layouts that incorporate old family photos to memorialize our ancestral background. Our new Hatpin Bezels and matching dies are perfect embellishments for scrapbook layouts and cards where you’d like to imbue a feeling of yesteryear into your work. 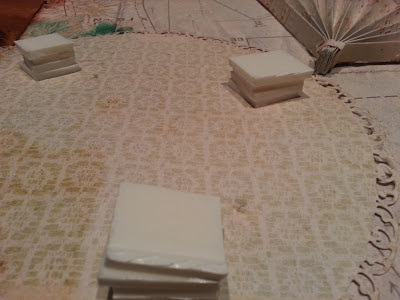 Using the matching dies, you can coordinate the paper to match the layout, or you could even die cut a piece of fabric from vintage clothing to use inside the hatpin. This layout features elements of days gone by you will love, an accordion pleated fan, “heirloom” hatpins, and a vintage photograph that tell the story of a 19th century family frozen in time. Other: Maya Road flowers, Prima Marketing flowers Pink Paislee patterned paper, chalk ink, scissors, vintage photo, pastels, sanding block, seam tape or ribbon, misting bottle with water, score board, small mixing cup and craft stick, cotton swab, paper towels, paper trimmer. Hatpin Preparation: Hatpin Bezels are filled with colored resin to mimic the look of a stone set inside a bezel. 1. Wipe hatpin bezels to remove any dust. 2. Mix ICE Resin according to package directions. 3. Choose a pastel color to create resin pigment. 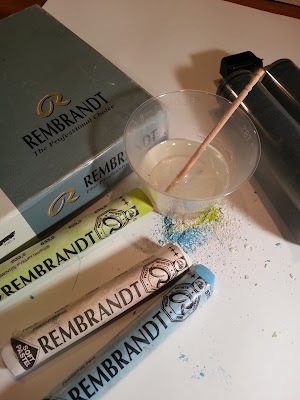 Using a craft knife, scrap pastel stick to make approximately ¼ teaspoon of pastel dust. 4. Add pastel dust to mixed resin and thoroughly mix pigment (dust) into Ice Resin. 5. 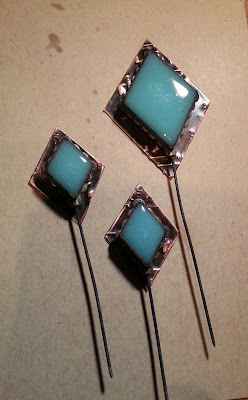 Using a craft stick, slowly drip colored resin into hatpin bezels until resin domes. Set aside to cure for 6-12 hours. 6. Sand front and back of a piece of copper sheet. 7. Cut two #2 (with #1 being smallest die template) and one #3 with Diamond Die from sanded copper using Grand Calibur machine. 8. Place Music Note Texture Plate on gray Base Plate. Lay diamond die cuts on top of plate and cover with white Cutting Plate and pass through Grand Calibur machine to texture. 9. Using a cotton swab, apply patina solution to front and back of textured die cuts. Lightly wipe off excess solution with paper towel and sand raised embossed pattern to reveal music notes. 10. 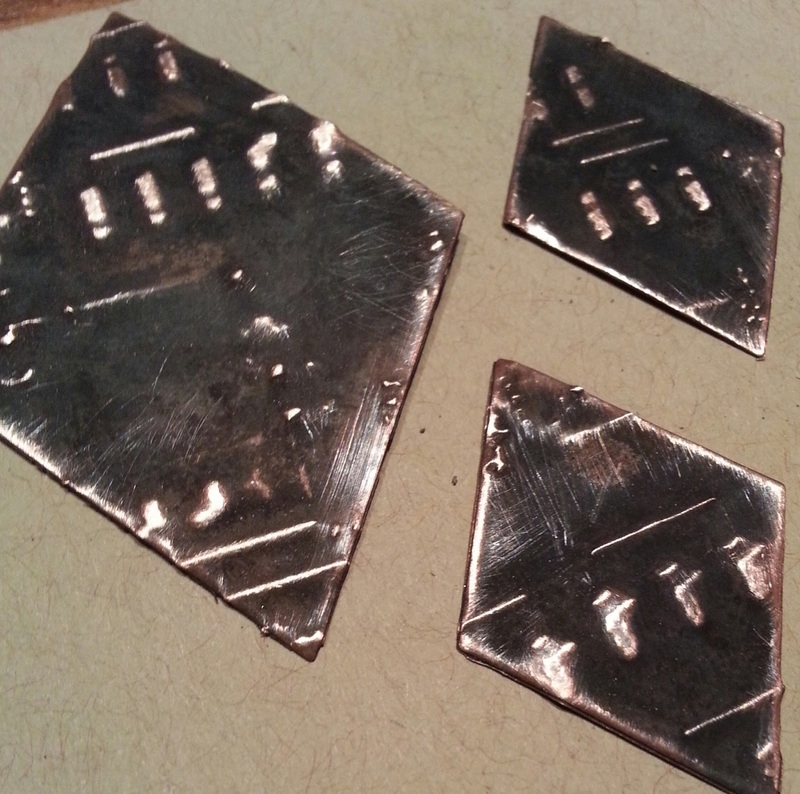 Glue textured metal pieces to back side of hatpin bezels as shown. Set aside to dry. 11. 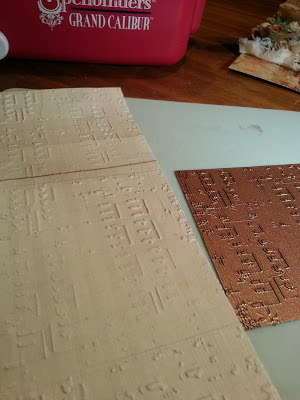 Randomly tear and curl edges of a 12”x12” piece of patterned paper to create a distressed look for layout background. Apply chalking ink to edges for an antique feel. 12. Trim a 4”x 8” strip from patterned paper. Lightly mist paper with water. Place Music Note Texture Plate on gray Base Plate. Lay one end of paper on top of texture plate and cover with embossing sandwich (Tan Mat and Pink Embossing Plate) and run through Grand Calibur machine. Move paper down and repeat until whole strip of paper is textured. 13. Place textured strip on score board and score at ¼” intervals. 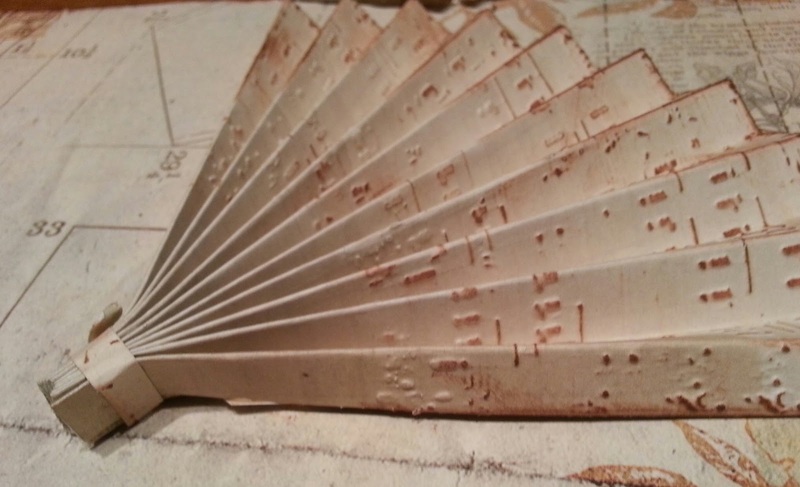 Accordion fold strip and glue folds together on one end to create a fan. Set aside to dry. 14. Position fan at a 45º angle on upper right side of background page. Affix to page with 3-IN-1 Glue. 15. Cut/Emboss Grand Decorative Circles #3 and #4 from patterned paper. Layer, offset and adhere die cut circles with foam tape. 16. Affix outer circle on to of glued portion of fan with foam tape. 17. Layer four 1” pieces of foam tape together and place under lower left potion of die cut circles and mount to page. Make 3 more stacks of foam tape and add around perimeter of die circles for support. Refer to photo. 18. Sand and lightly ink edges of a photo for a vintage look. 19. 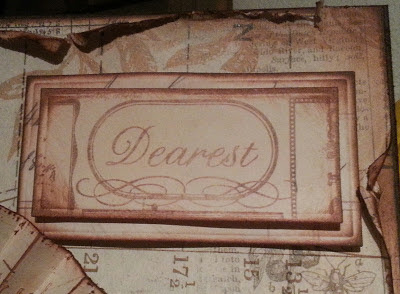 Using foam tape, affix distressed photo on top of die cut circles at a slight angle. 20. Glue Hatpin Bezels, Melissa Frances Embellishments and seam tape bow to photograph as shown. 21. Cut/emboss an assortment of Bitty Blossoms and Spiral Blossoms One form coordinating patterned paper. Roll outside end of die cut flower into a spiral towards center circle and adhere to circle base. Flair out petals to form flower. Repeat until all flowers are formed. 22. Arrange with other flower and adhere with 3-N-1 adhesive in a pleasing composition as shown. 23. Cut/Emboss 5 x 7 Matting Basics B #1 and #2 from patterned paper and ink edges. 24. Stamp sentiment on #1 die cut. 25. Layer and affix tags together with foam tape. Mount in upper right hand corner with foam tape. You are going to love the unique details you can add to your work with Spellbinders new Hatpin Bezels, dies, and Musical Texture Plates. They will let you add loads of personality and charm to your handmade cards and themed scrapbook layouts. 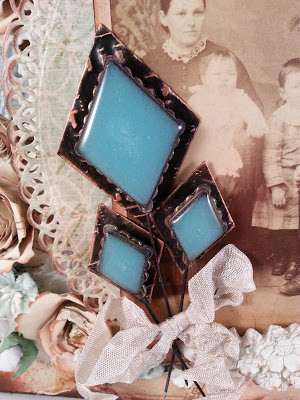 The Hatpin Bezels can be used in lots of other projects too….I love creating mixed media projects and the Hatpins are the perfect little “findings." In this project, “Little Box of Secrets,” I altered a small wooden box and used the Hatpins as key elements in the composition. 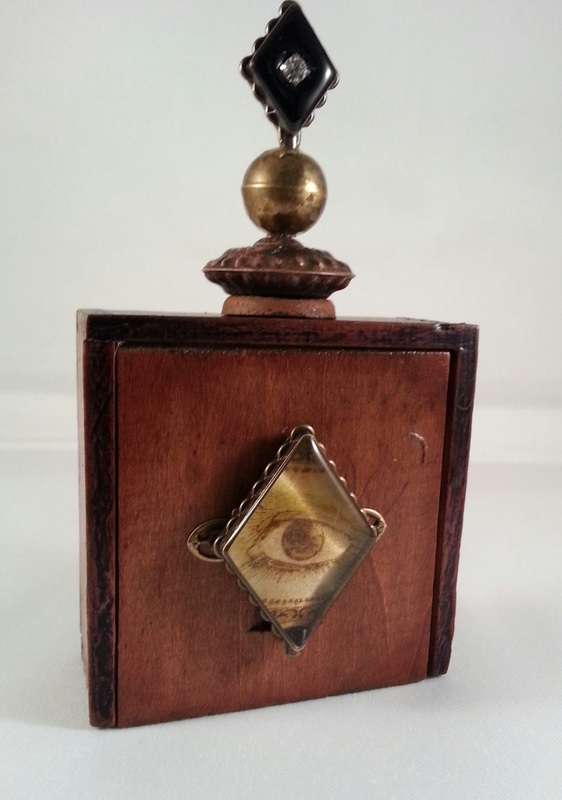 A resin filled Hatpin Bezel with a die cut piece of paper, becomes the all-seeing "3rd Eye" on the outside of the box. I layered findings and beads with a Hatpin Bezel to create a tiny finial for the top. I used black pigmented resin to fill the bezel to look like onyx. A torn piece of textured paper becomes a backdrop for a tiny horse and chariot. 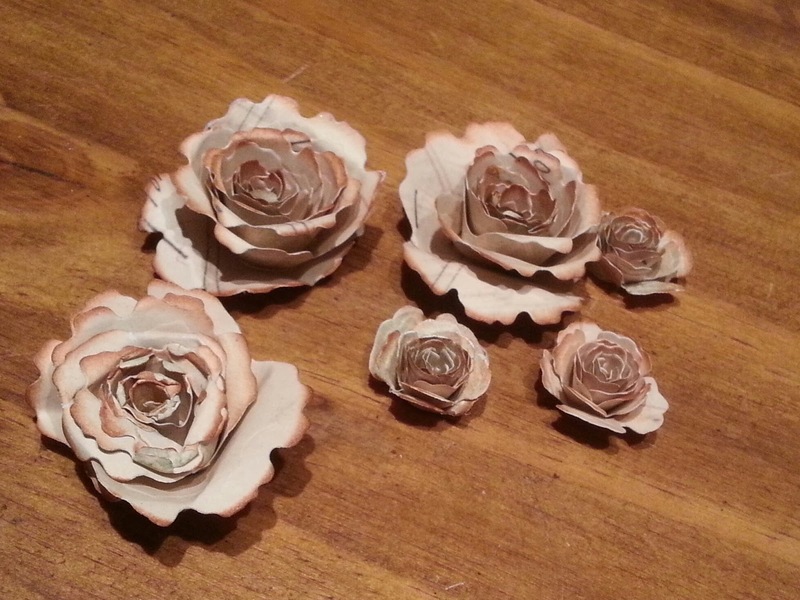 You're going to find that the Hatpin Bezels, dies and texture plates are really fun to use in all kinds of projects! For official contest rules click HERE!! For the chance to WIN...CLICK HERE! 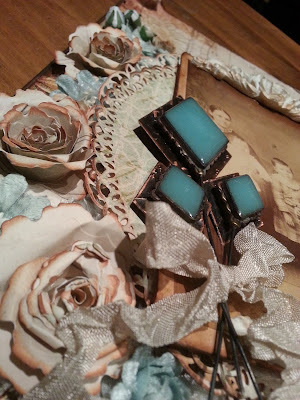 And to find even more inspiration, visit my friend Judy Hayes at Creating My Style Here's a little peek of what she's creating with the Hatpin Bezels. I think you're going to love it. Thank you so much for stopping by today during Day 2 of Spellbinders® Shape It Up Sneak Peek and Giveaway. I hope you love what you’ve seen and will be inspired to create some vintage details or mixed media elements for your work with Spellbinders New Hatpin Bezels, Dies and Musical Texture Plates. Make sure to enter the contest…you are going to want these goodies in your craft stash! Your creativity is limitless - Explore Beyond™! I really NEED these! Beautiful projects!!! Thank you Cibele, yes you NEED these. The new Hatpins are so much fun! All of your projects are simply stunning!! Thanks for the amazing inspiration!! Thank you Lisa, I appreciate your kind words...and I'm always happy when I can inspire. Well now...you have work to do. Thank you for stopping by today...I know you will love the hatpins! Love it!! I've been using hatpins now and then, but this takes them over the top. Vintage colours and styles are an era I use on a lot of my cards. Thanks for the inspiration. Thank you for stopping by today Barb, the hatpins are great for vintage style cards! Gorgeous creations! I totally love hat pins too, so that is my favorite about this! Thank you Catdidit! The Hatpins are awesome! Great ideas, love the hat pin ideas. Absolutely gorgeous! I'm taking lots of notes on this one. Thank you Pamela. I am glad you stopped by today. These are all beautiful creations. Thank you Dawn, yes the new Media Mixage line is awesome...it gives you so many new ways to create! Thank you for your kind words Cathy! Thank you Karen, You are going to love the hatpins! Great idea I am look ing forward to craft with the hatpins. Thank you Ita, I love the hatpins too...I think you will love them. 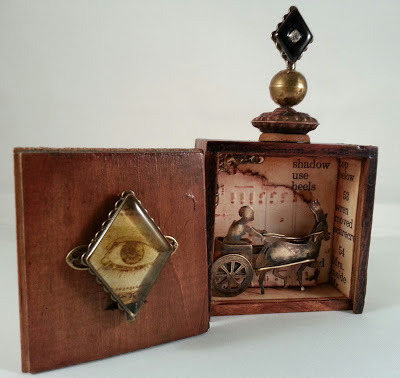 You are totally amazing with your projects Ken Oliver.. so love the little box and it's contents!! Thank you Teresa...you are very kind...I like making little "trinket" boxes with secrets inside. They're fun. Amazing projects Ken. Your altered art using media mixage is fabulous. Hope this year I will be able to try some of this out. Would love to incorporate into my own altered art projects. Thank you Luv! Step out of your comfort zone. You will be amazed with what you create when you "Explore Beyond." Ken, This is crazy amazing!!!!! Thank you for sharing this!! Love anything vintage looking but I really, really love the little box! Thanks for sharing! Thank you Carol...I like making tiny little shrines or boxes. They're fun to make. And the hatpins give me lots of options when creating little trinkets to go inside. What an awesome project here Ken. These hatpins will definitely be pretty awesome, and I can think of many more ways to use them too, even you have definitely shown some great ways to use them as well here. These projects are so gorgeous. I just love, how you´ve used them all here. Thank you Maryann, I am glad you're inspired. Make sure to share some pics of your hatpin creations. I would love to see them. Beautiful detail on your projects. I love what you've created. oh wow something really different, great blog. Thanks Tina...to me "different" is a good thing. Fabulous, fabulous FABULOUS! Each project is beyond cool. Thanks so much for sharing! Wow!!!!!!! Cool projects! Thanks for the inspiration!!! Absolutely beautiful. LOVE the hatpins!!!!!!! 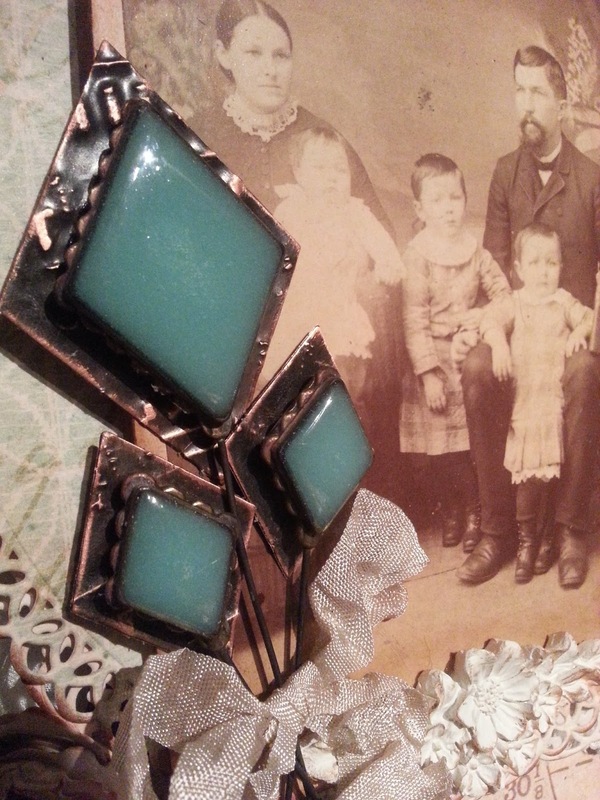 Thank you Cathy...the Hatpin Bezels are F.U.N. ! Awesome, I liked all the projects. So creative and amazing! Wow....Ken your projects are Amazing. All those wonderful details. Talk about some major eye candy. I really love your idea's. Thank you Amy. I am glad you like them...I really had fun with these projects. Thank you for stopping by today. Oh my goodness, LOVE those hat pins!!!! Must make so myself!!! Thank you Janice, you will love creating with the Hatpin Bezels...they are REALLY fun! Amazing projects -- Spellbinders NEVER disappoints!!! Thank you Marge. Yes, Spelllbinders is the best! These are absolutely beautiful...thank you so much for sharing your technique! Gorgeous projects. It makes me want to try the mixed media. Your tutorial is very difficult to read with the brown varigated background and the brown lettering. Not very much contrast. Thank you Donna...you should give the Media Mixage a try. I will go back and change my text color. Thank you for letting me know. Thank you Little Teapot. I am glad you were inspired. The new hatpin bezels look amazing and I love the music texture plate! Thank you Lynn...you will love the new Hatpin Bezels! The texture plates are great too...You can add cool "music" texture to lots of things now. Love the Layout & page! Of course the hatpin bezels are stunning! The eye's a little freaky, but it works! Thank you Gail...the eye is a little freaky, but kind of cool too. I love the hat pins you created. Beautiful projects. I spend most of my craft time in paper land but I'm sure at some point I'll cross into the world of media mirage. Thank you Heather, making the jump from paper land to mixed media land is an easy jump...as a paper crafter, you are already a mixed media artist. Mixed media simply means the combination of two or more mediums...you already to that...paper+ink=mixed media! Be free...Explore Beyond! I have not yet had a chance to work with the mixed media line but I think these hat pins have me convinced to give it a try, love all your projects, very cool! Thank you Connie, the Hatpin Bezels are great...and great for all your paper crafts, layouts or cards. They add that special vintage feel! Thank you M. Swenson...I love the old metal things too...it's awesome to combine "old and rusty" things with new and different mediums for spectacular results. Gorgeous work on that layout. It's amazing. Wow, Wow, Wow! 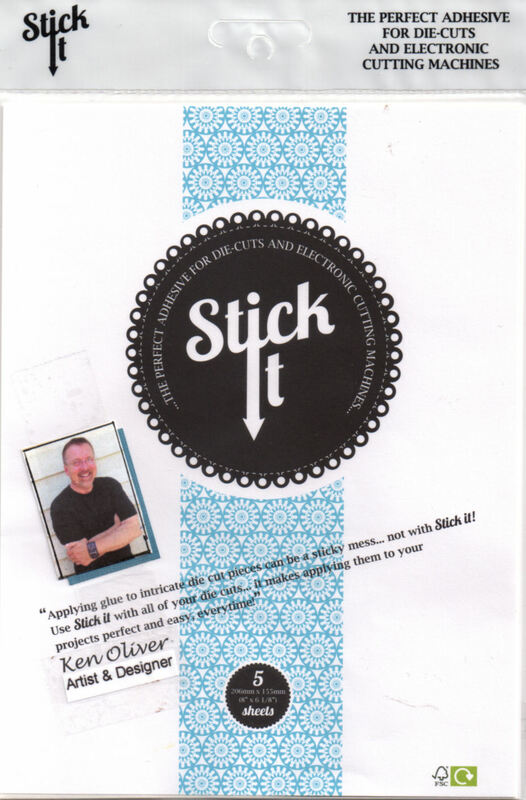 Love the page and the box and the stick pins and the tutorial. Loved it all. Fantabulous! Thank you for stopping by today Jean...I am glad you loved it! Wow. Gorgeous!! Love everything you created!! Thank you Linda. I appreciate it. Oh my gosh, what amazing and beautiful projects. And, thank you for sharing the instructions. I do believe I might step out of the box and try this! Thank you Kathy...as an artist, it's really important to try new things! Go for it! I am blown away by your creations....truly gorgeous!!! Thank you Kim. I appreciate your kind words. Thank you Jessica! I am glad you like it....the Hatpin Bezels are awesome! Larina M. Very nice layout the hues are excellent. I have not played with the mixage media yet but these are some great examples of the possibilites. Very nice! Thank you Larina. Try the Media Mixage line...you will love it! your projects are amazing! I have to admit, I wasn't sure about the Media Mixage line during the last release but these hatpins are so nest! Caryn, the Hatpin Bezels are awesome. You will love the vintage feel they give to your layouts and cards...a "must have." Thank you for stopping by today. Great projects Ken. Thanks for sharing. Thank you Donna. I talked to somebody yesterday and I have a feeling you'll be seeing them soon at a store near you! Beautiful vintage page, love the touch of blue. Yes, I was totally AMAZED by this! Such beautiful work! Thank you Tamara. I am glad you stopped by. WOW Ken, love the page and everything on it, great stuff! Wonderful hatpins and a lovely layout. Thank you Antonella...I love old and dusty stuff. Gosh, Ken, I don't even know what to say - so fabulous is your write up with directions and mini-tutorials - really wonderful page - all the design elements, flowers, layers, contribute to the beautiful feel of the moment back then - bringing it to life. Really wonderful, beautiful and sweet all at the same time. Thank you for so thoroughly explaining how you created each item, and the products which were used. I'm inspired. Thank you Donna, I appreciate your kind words. I love making stuff look old! I just love the vintage look of these hatpins. Great work Ken! Thank you Kathy! I am glad you stopped by. WOW, very impressive! Love the colors and antique feel of it! OH, wow! Fabulous projects. Especially love the page with all the layers and elements. Your layout is so beautiful. I love the antique and vintage feel created by the texture plates and the hat pin feels. They are awesome and I cannot wait to shop for them. I also really like the secret box and another use of the hat pin feels. Thank you for sharing your creativity. Thank you Sandra, I loved getting to use them to show different ways you can create with Media Mixage. Thank you for stopping by today! awesome projects, Ken!! you never fail to amaze!! 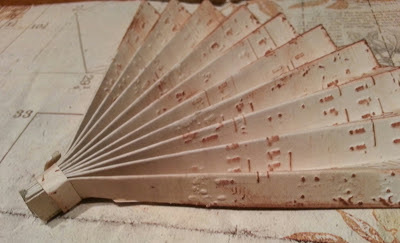 Gorgeous projects Ken...TFS and for a chance to win! Thank you Kathy. I love altering little boxes...the new Hatpin Bezels gave me lots of new creative opportunities. Wow, such impressive work! It must have taken ages! Thank you Raven Girl. It didn't take that long really. 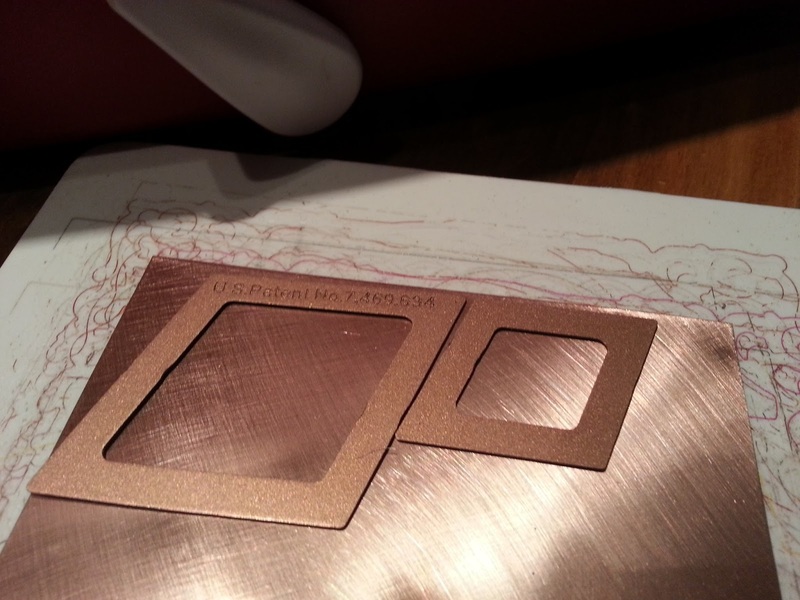 Spellbinders tools let you cut, emboss, and stencil and create perfect layers every time! it was fun! Wow, your projects are amazing. A beautiful layout and love the "Little Secret Box." I love the bezels they make the layout amazing I have to try it soon. Thank you Maria! You will love it! 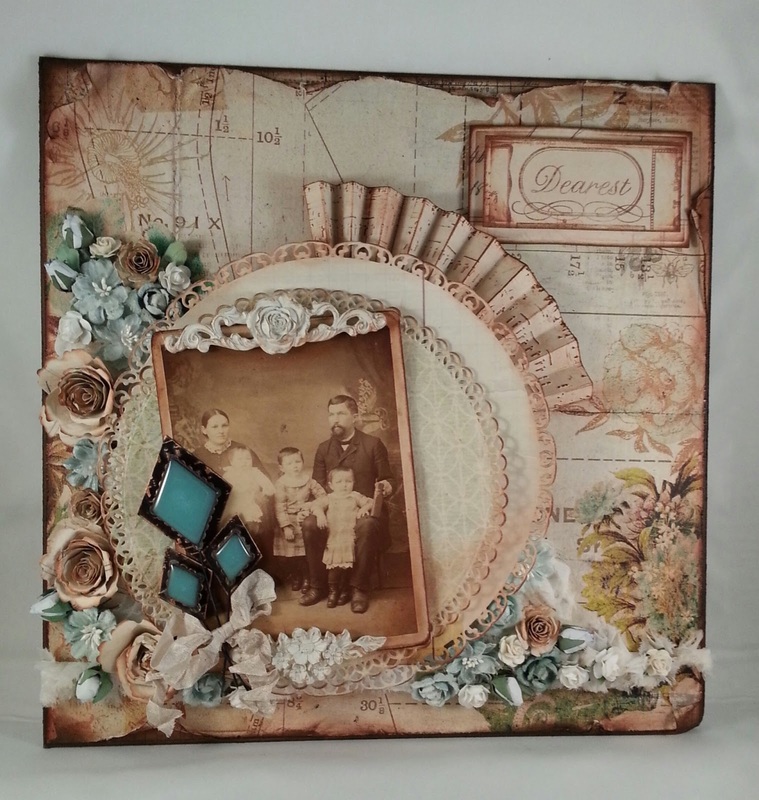 You created some really great looking embellishments for this layout. The diamond hatpins look great along with the flowers and the fan. Thank you Karen! I love it when you can create your own embellishments...it makes it authentic. Wow! What a great new addition to the spellbinders line. A gorgeous, vintage layout you have created and the hatpins are such a great finishing touch. Thank you Heather. You are going to love the Hatpin Bezels. What wonderful projects to showcase these new products from Spellbinders! TFS! LOVE these new products and beautifully done!! Those hat pins are mind blowing! It's always a mystery to me how talented people can think of these things. It's a gift.....Thanks for sharing them! Dolly, I knew you would like the Hatpin Bezels. They are going to look great on your cards! You never disappoint! This is fantastic! Love the hatpins and what you did with them in the LO and on the wooden box. Thank you Marianne...I appreciate it. I like doing the "unexpected." What a gorgeous project. That is beautiful work! Your layout is fabulous! I was blessed to inherit a bunch of vintage family photos and have been scrapping them for a while-thanks for sharing your lovely and inspiring layout! Thank you Lynne...don't you just love those vintage family photos? Sometimes I get more wrapped up in the photos themselves. Thank you for stopping by today! Thank you Linda...it means a lot coming from an awesome designer like you. I simply love your work! Glad you were inspired. Thank you for stopping by today! Thank you Lena, I appreciate your kind words. I love your little box of secrets! And I can see so many possibilities with the bezels! Thank you Noreen, little boxes are fun and the new Hatpin Bezels let you create some really cool stuff for them. Thank you for stopping by today! Ken, just wow!! Your projects beyond amazing and chocked full of wonderful inspiration! Thank you Becca, I am honored...I really appreciate it. Thank you for stopping by to comment! Thank you Lofty Lass...I am glad you like it. Thank you Angelica...I can't wait to do a cigar box myself...thank you for stopping by today! Your killing me Ken..these projects are incredible ;) Great tutorial thank you!!! Oh Martha, call 911...I didn't intend to kill anyone! :) Thank you so much, that you for stopping by today! I am glad you liked it. OMGoodness, this was the best tutorial. A lot of work but the outcome is just gorgeous. Thanks bunches. Thank you Mema! It's not as involved as it might seem. Spellbinders makes it easy! Wow....gorgeous projects....and the tutorial was wonderful! WOW!!! You take scrapbooking to a whole new level.. Love all the detailed work!!!! WOWZERS!!! Your layout is Gorgeous, I love all the wonderful elements, and the hat pins are amazing, love the boxes! Oh my goodness . this is amazing! I love the stunning colours and all the different techniques. The tutorial is awesome! Wow so much talent. I'm scrolling back up to have another look now! Can't believe how much work is in this gorgeous piece. I love your work!! FANTASTIC!! I love how those blue bezels look like turquoise stones. Love your creative imagination, your designs, and your amazing results! Beautiful design and sooooo creative! I can't even begin to grasp how your brian is working. Your layout is absolutely stunning. Everything you put on it is just perfect. My layouts are very simple with few embellishments. When I try to do something like this the layout starts to look crowded so I am very much in awe of your talent.